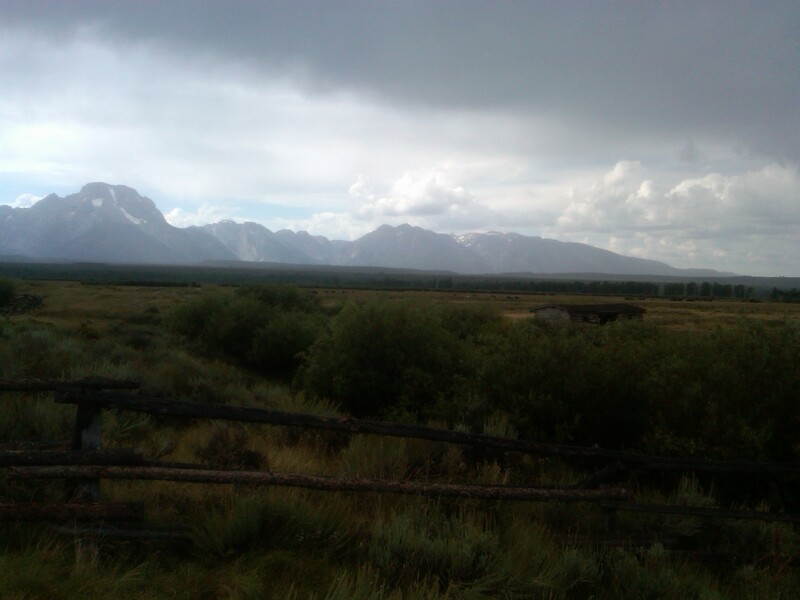 When we left Jackson Hole, we drove back into the Tetons National Park along its eastern loop – we arrived via the western edge – and ran into a little rain. I took the best shot I could get of the Cunningham Cabin made famous by Ansel Adams’ photograph many years ago. So much has grown up around the aging old barn that it hardly seems like the same structure at all. So it seems fitting that my photo should be cloudy and gray – a little like his black and white. Winding through back country we eventually arrived at Dubois and the long stretch of lonely highway 287 that turned into a thing of beauty in the Painted Hills and Wind River Indian Reservation. 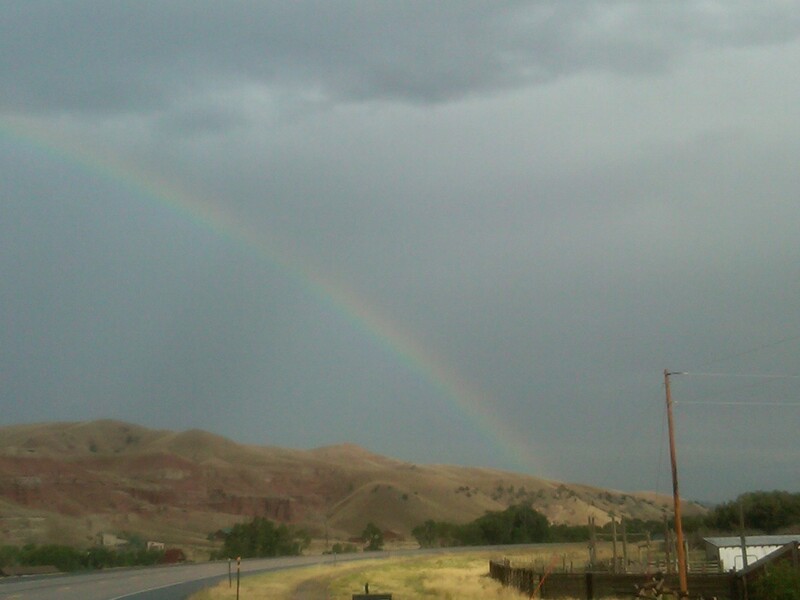 A rainbow appeared over the yellow, orange, brown, gray and green striped stone hills, much to my delight. The Wind River flowed through the valley making the entire stretch of road feel like a Native American painting that we had wandered into. Miles later and only one car met along the road, the landscape changed again. This time it became a treat for the olfactory system as well as a visual one. 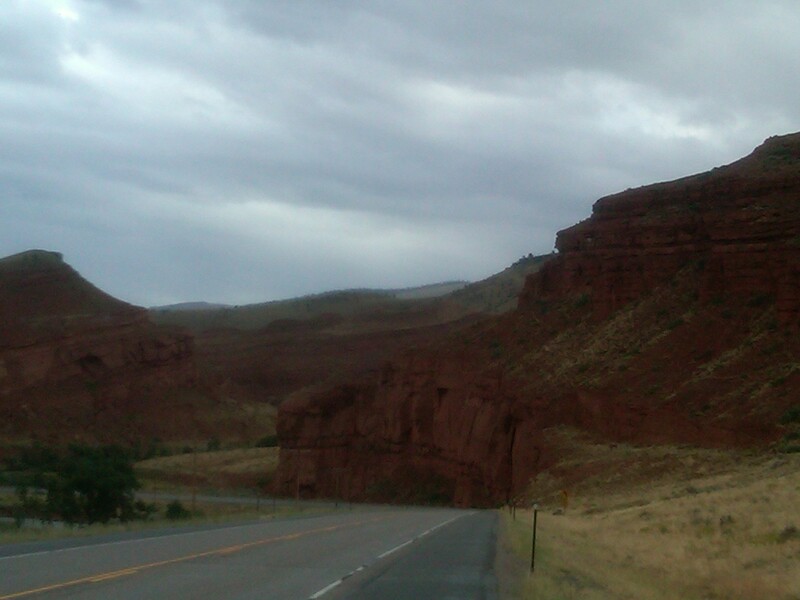 The scent of sage permeated our vehicle, though the windows were up as it was still raining. I rolled mine down enough to get a giant whiff of the herbal plant. Just heavenly! I don’t know if the rain was releasing the aroma or if it always smells like that, but it was amazing. Cunningham Cabin in dark rainy sky. ooh you took me back. We had wild sage growing in the coulee around the SK farm. Still there and yes it really does smell that good .. but rain does accentuate it. We recently returned from a trip to Yellowstone and Grand Teton. 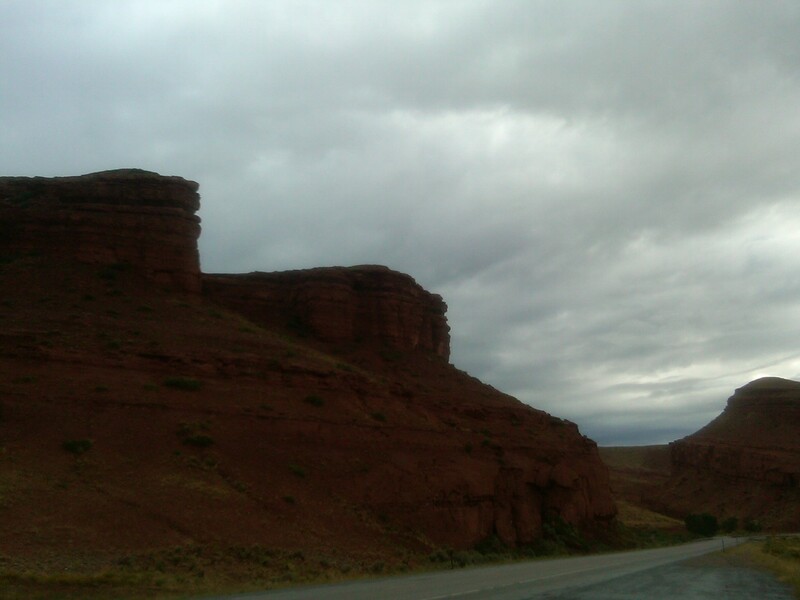 Driving through the Wind River area, we came upon the Painted Hill. We were in awe at the beautiful colors. We had been to the Painted Desert in Arizona. This matched its beauty. It took me by surprise actually. Our country has so many awe inspiring vistas. I’m glad you got to visit and shared your thoughts.